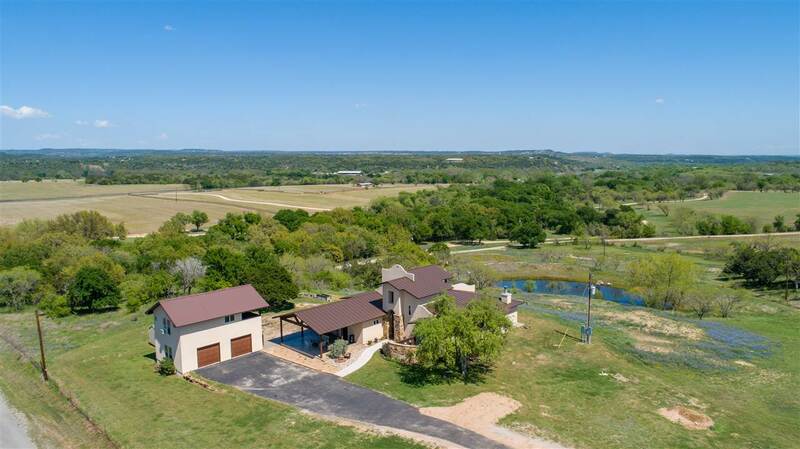 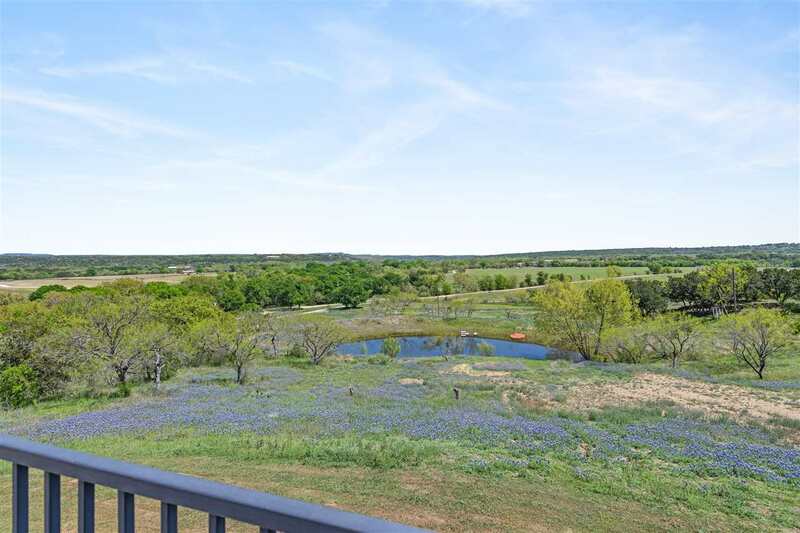 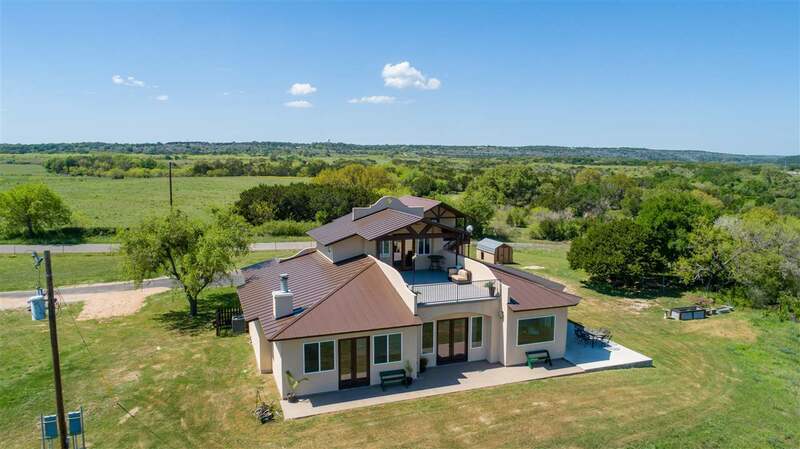 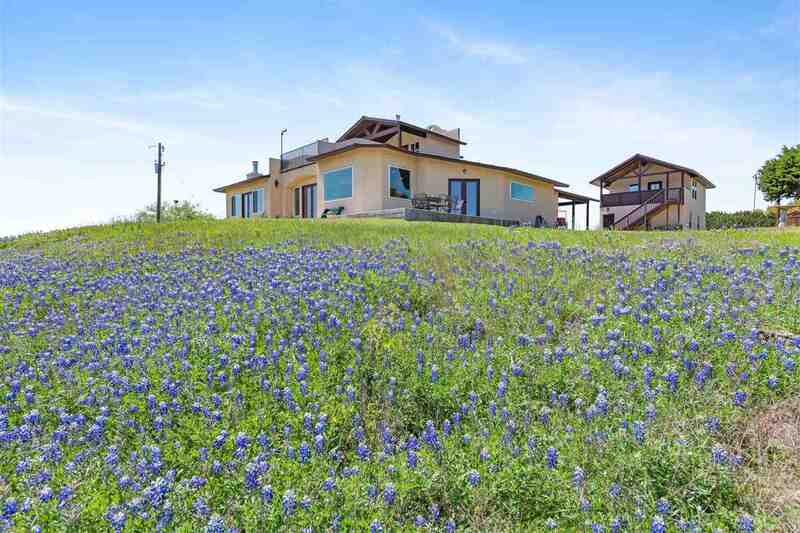 Hill Country Views Galore! 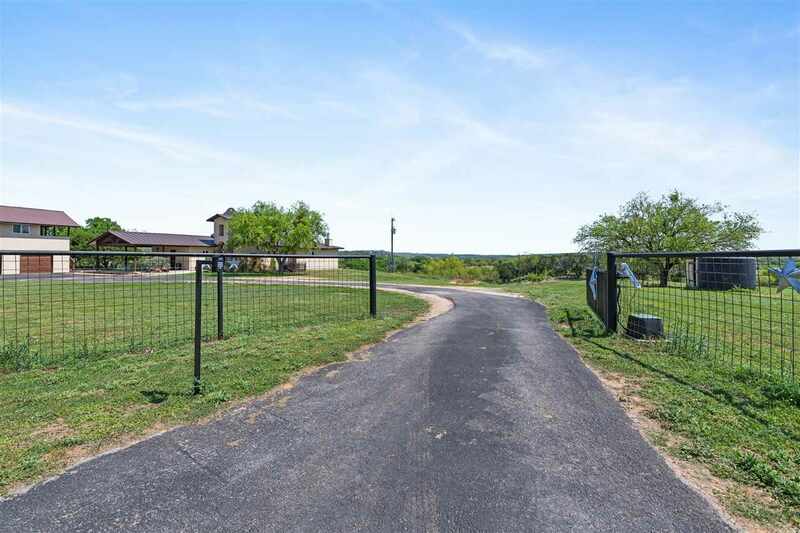 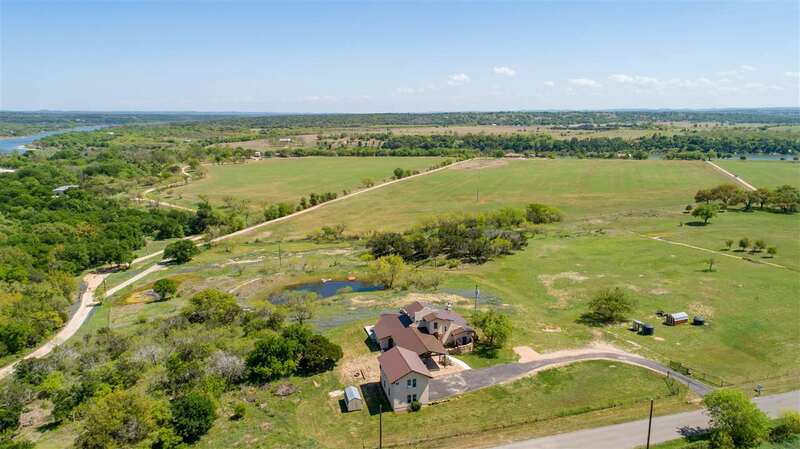 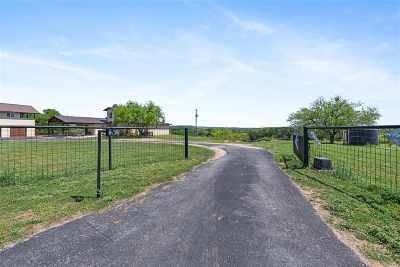 This 3 bed, 2 bath main home of 3054 SF overlooks a stock pond and 9.822, unrestricted, ag-exempt acres. 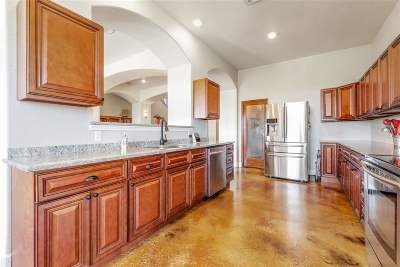 The kitchen has a walk thru pantry leading to the utility/laundry room. 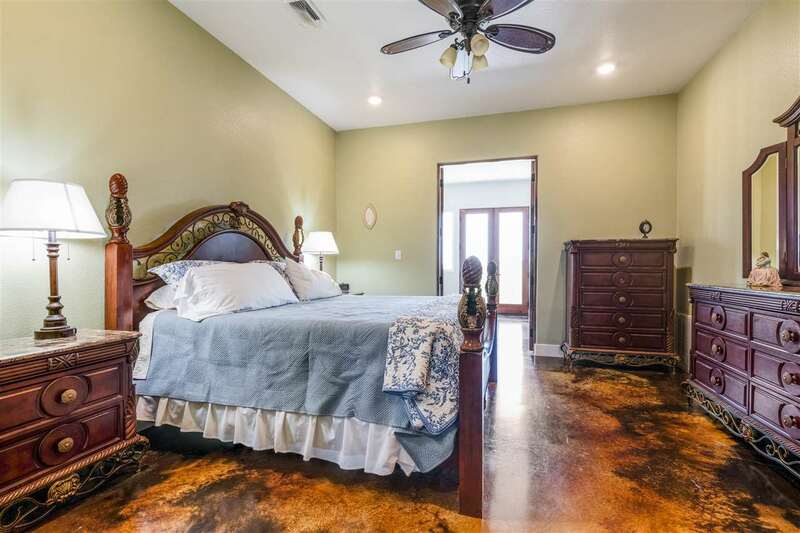 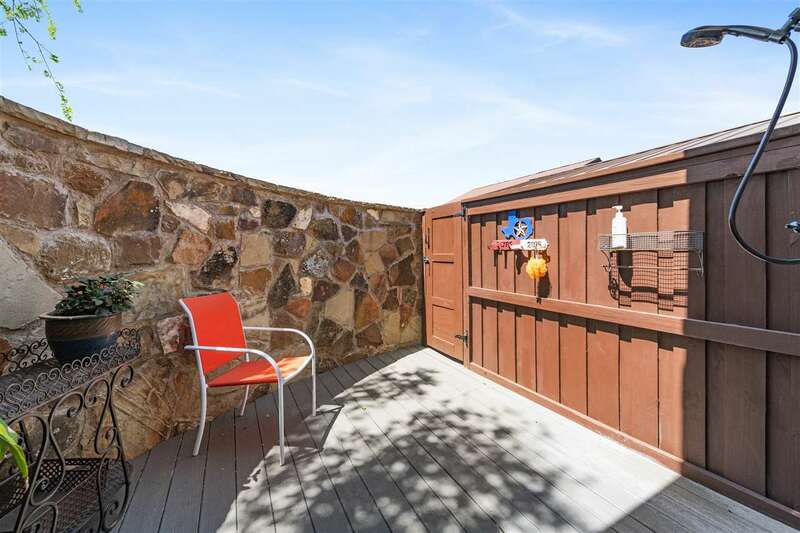 The master on the main level boasts a huge walk in closet, garden tub and separate shower. 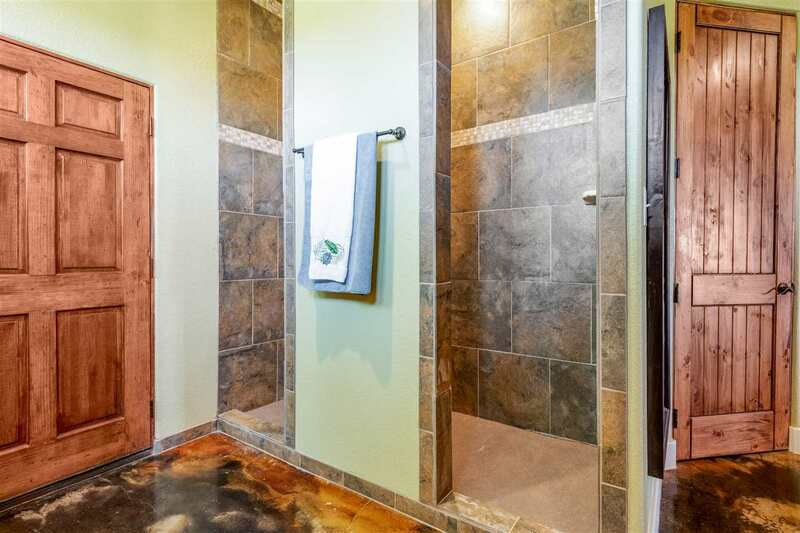 Outside the master bath enjoy a private outdoor shower to cool off on those hot summer days. Sitting room off master offers comfy living to read those favorite books. 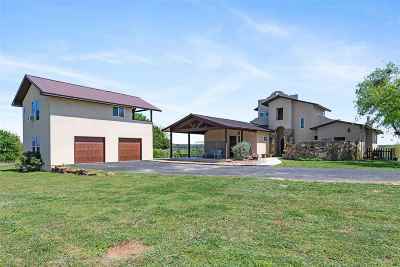 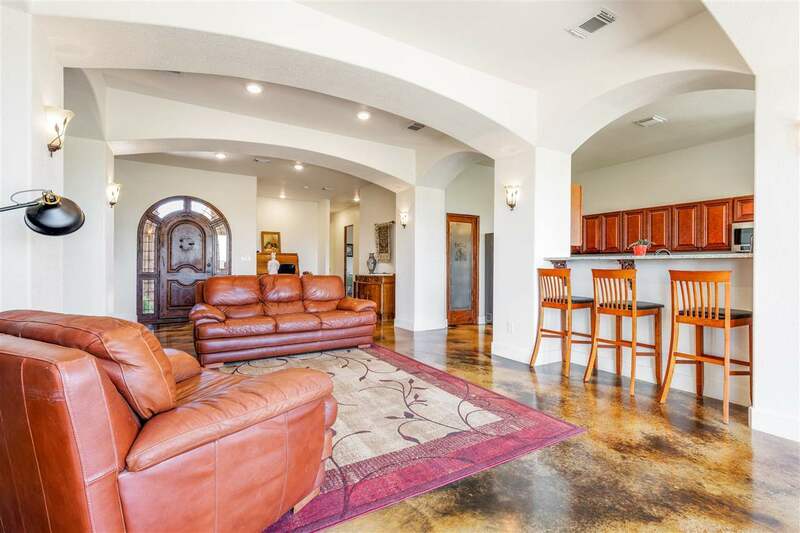 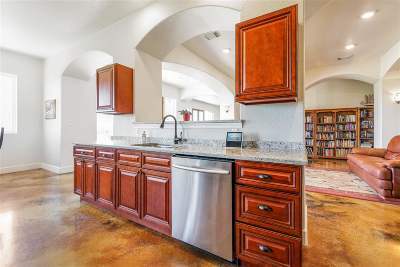 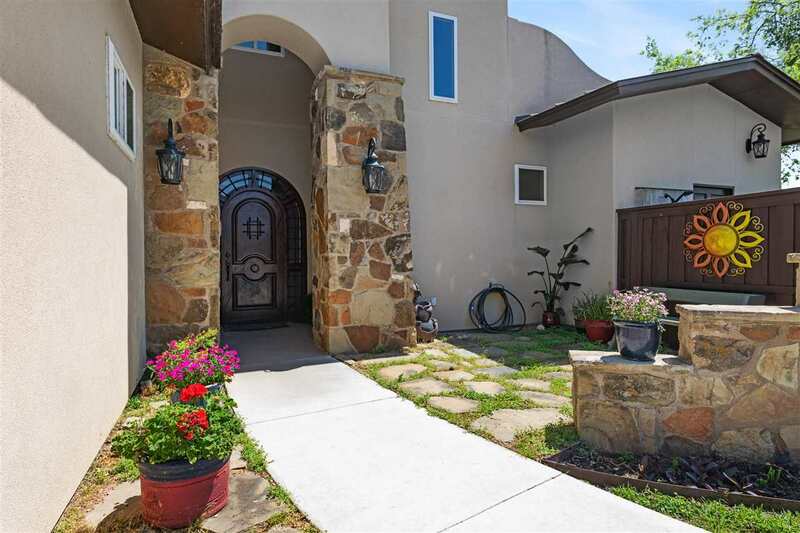 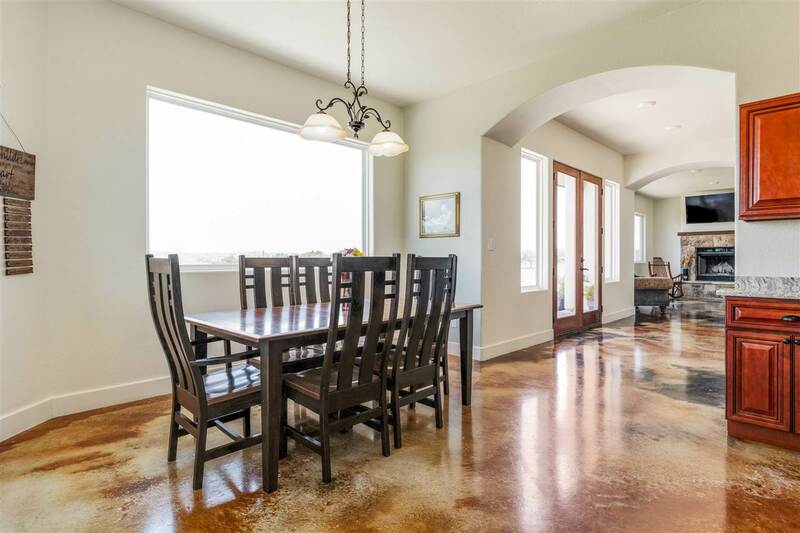 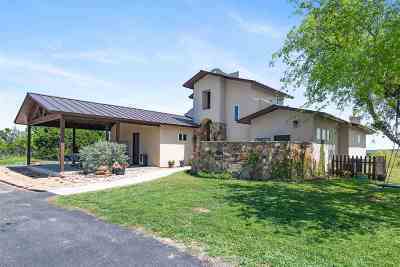 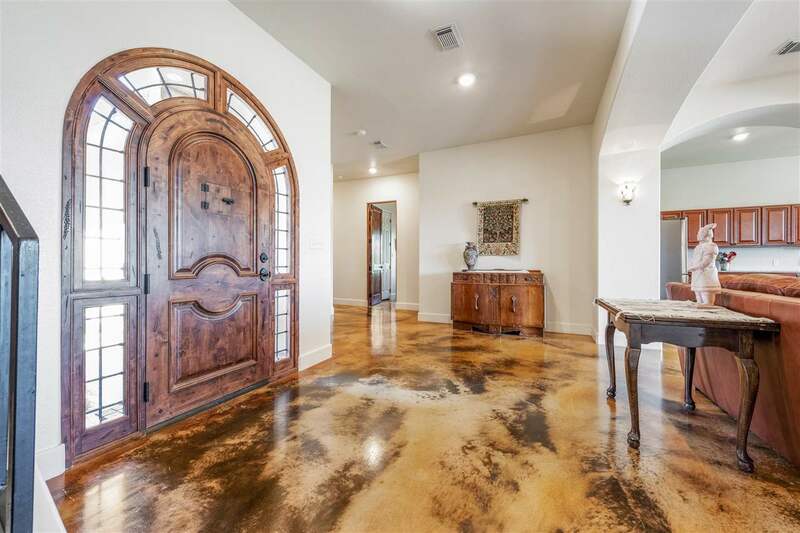 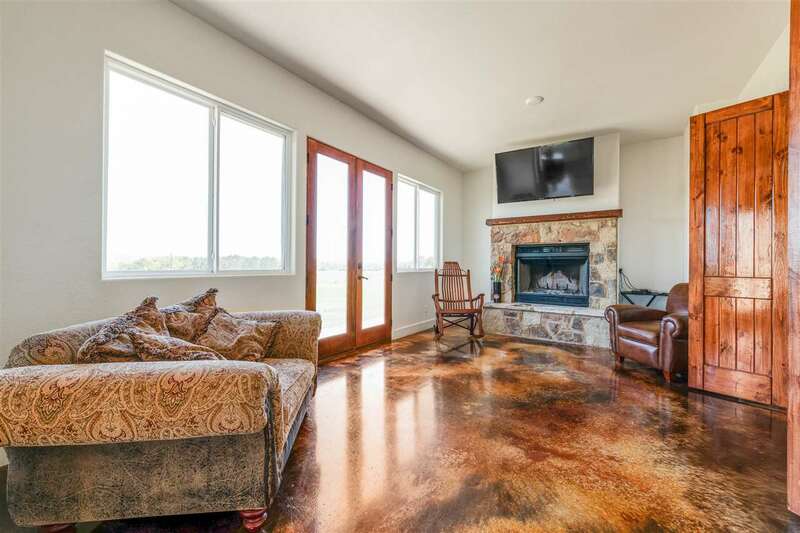 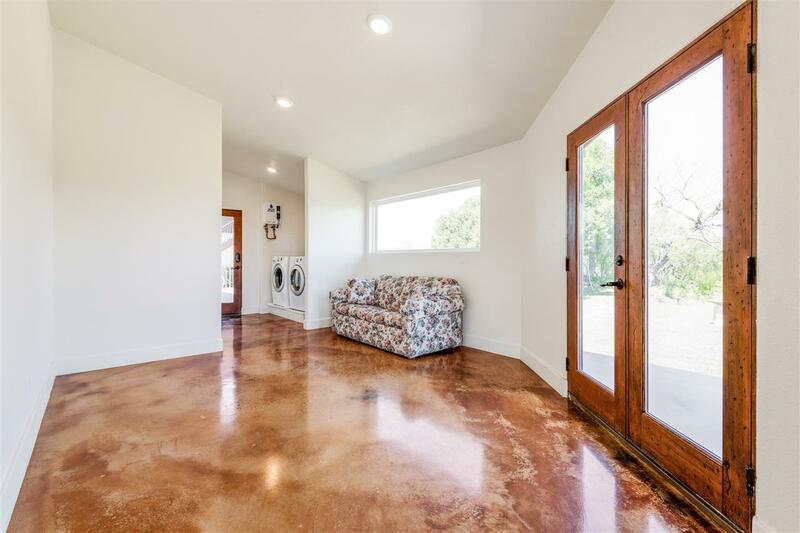 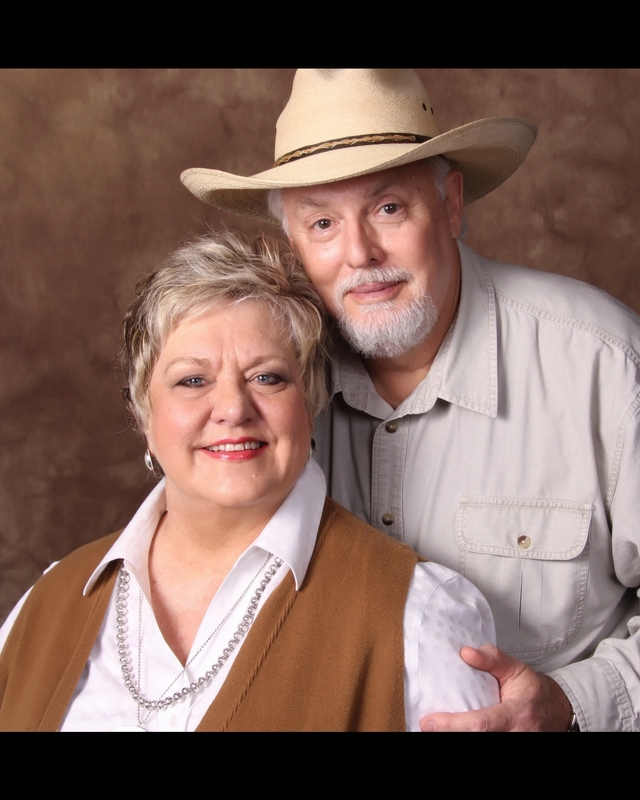 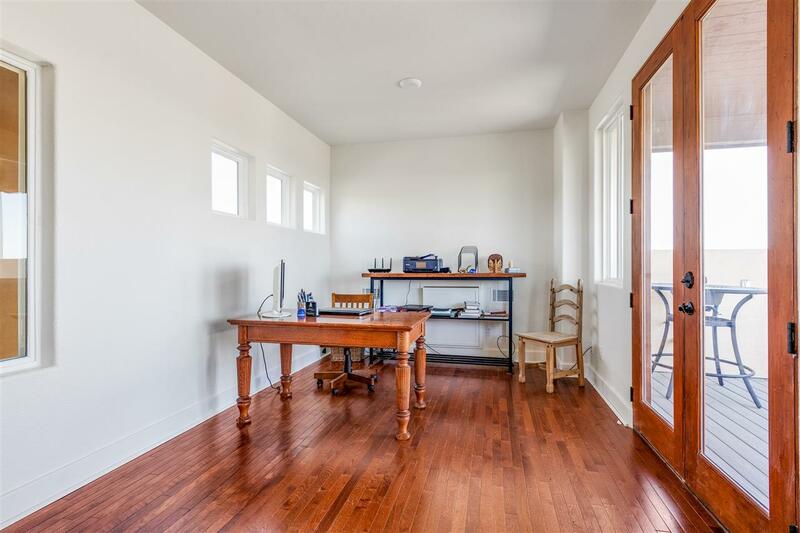 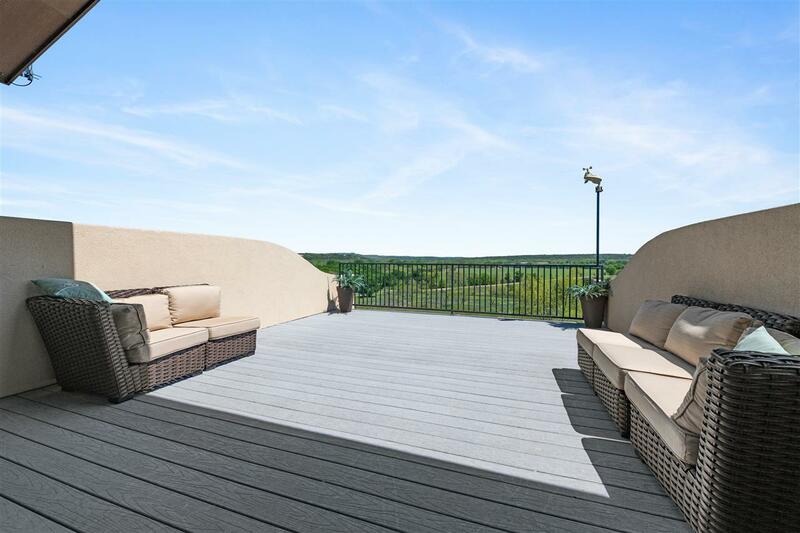 Upstairs you will find an office/loft that leads to a covered deck to view and enjoy the beautiful hill country! 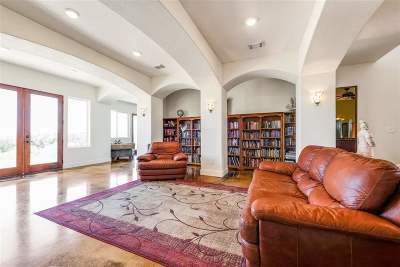 The living room includes a library wall for all those favorite books and an office niche that leads to the 2 other main level bedrooms. 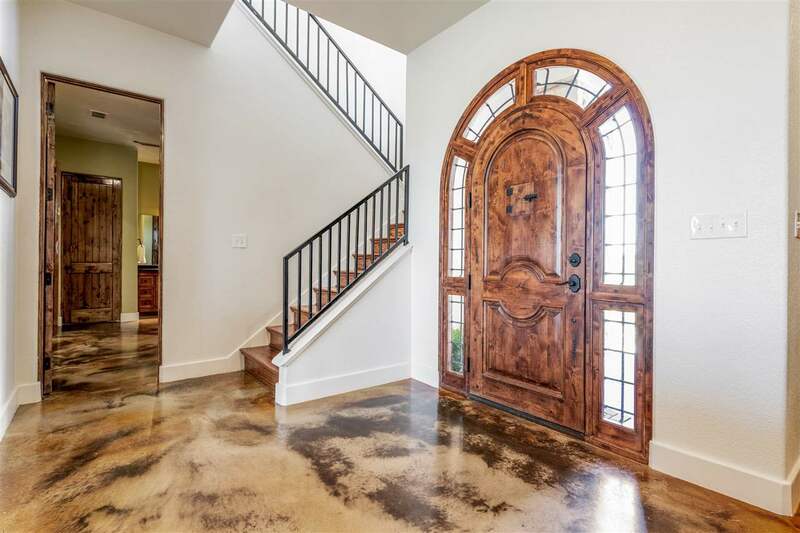 Marley Porter is the architect for this one of a kind home. 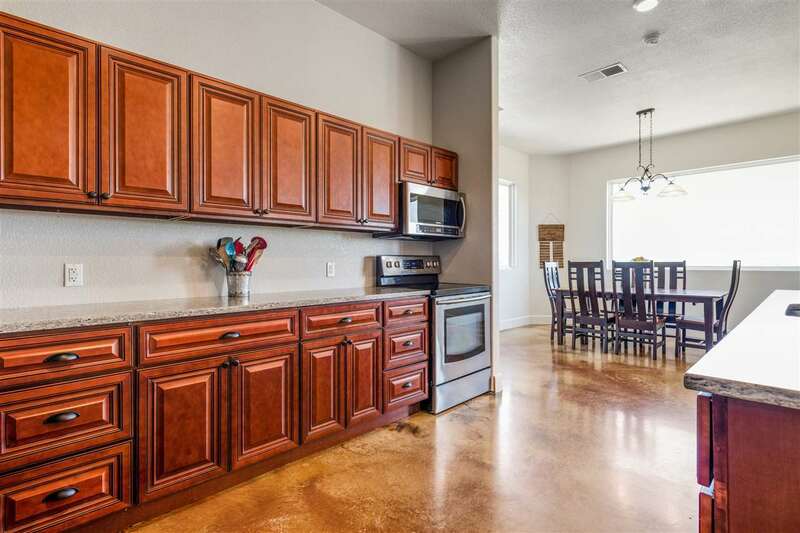 The garage is 20&apos;x30&apos; with an apartment on 2nd floor and is 1 bedroom/1bath with full kitchen and Quartz countertops. 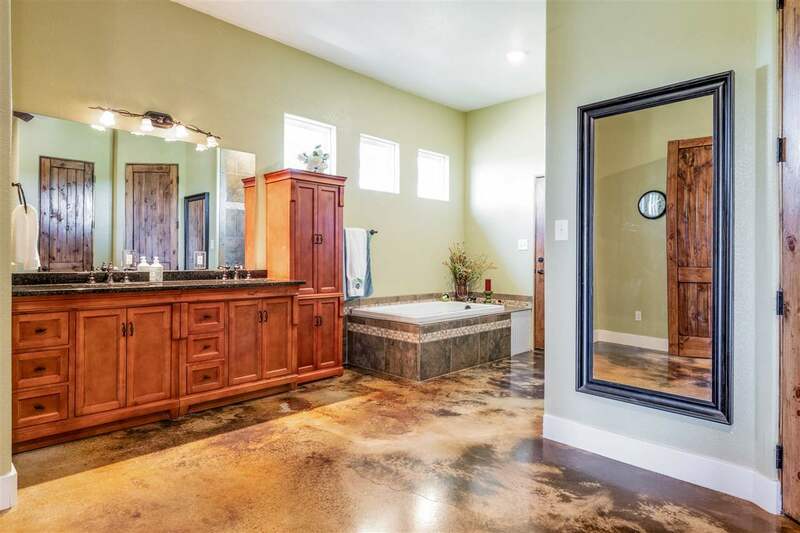 RV hookup to water and sewer on property.